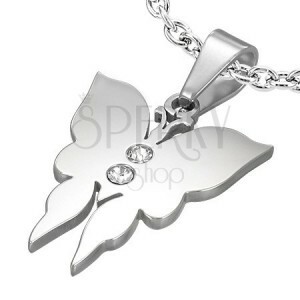 A pendant made of stainless steel in the shape of butterfly with two zircons. By buying this product you can collect up to 1 point as a voucher of 0,20 €. Your reward points. 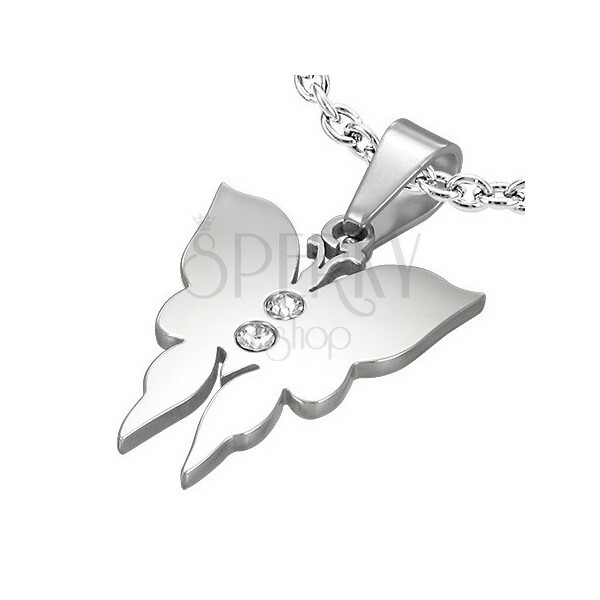 A butterfly pendant made of high quality stainless steel decorated with a pair of crystal zircons. Necklace made of silver 925, chain and zodiac sign "Libra"